This was the opening gambit at last week's Internet Retailing 2016 conference, the 11th one, where we joined hundreds of the UK's best retailers and eCommerce brands on the hunt for the 'new horizons' in retail, eCommerce and customer experience. It was a fitting theme for Salesforce as we experience a great 'new horizon' ourselves - exploring the exciting world of eCommerce with the Salesforce Commerce Cloud, formerly known as Demandware. 2016 is undoubtedly the year Artificial Intelligence has gone mainstream. It's top of mind for Obama, Salesforce launched 'Einstein', autonomous cars navigated the open roads, and Google and Amazon are going head to head on smart home assistants. But what does it mean for eCommerce? According to Gartner by 2020, 85% of customer interactions will be managed without a human and at the close of 2018, customer digital assistants will recognise customers by face and voice across channels. That means big change and transformation for retailers. Several conversations in the presentations at Internet Retailing 2016 revolved around how AI can and will automate and predict many aspects of the entire commerce and customer journey. Whether that be a chatbot to help you solve a service problem, find the product you're looking for, or guide you through the purchase process; or whether it's predictive technology to help provide the right recommendations to you on a mobile app, but also via the sales assistant's tablet as you enter the physical store as a known customer. Many of these capabilities are what we've envisioned for a long time, but 2016 is now the time that AI is truly accessible to everyone. Tony Rivenell, Chief Digital Officer at Halfords, discussed how they are envisioning their future by thinking about how they are a brand that is present throughout life's journey - from when you buy a child's baby seat from Halfords, to when that child gets their first car serviced after passing their driving test. He sees their future as a 'journey' brand and he is preparing their future-readiness by empowering digital evengelists in-store, embedding customer service into the DNA of the brand, and empowering customers to self-serve through technology. Richard Hewitt, Head of digital stores at Marks & Spencer, gave some fascinating insight into how M&S has a “fail fast with pride” approach to adopting new technologies. They operate with an incubator model where they test new instore technologies in iterative scale - starting with 2-3 stores and then scaling up before it is adopted widely. To help prepare for their future, they also ensure all stakeholders are involved in decision around digital, with a 'digital council'. All of this while they also have to navigate the the realms of legacy and new technologies as they prepare for a fully digital future. Our own Jamie Merrick, alongside Chief Digital Officer of Grupo Cortefiel, Anne-Marie Blaire, shared their experiences around the Connected Customer's expectations and how to fulfill the promises of unified commerce. From some fascinating research reports available at Futurereadyretail.com, Jamie outlined the 5 vectors of change that all retailers need to prepare for: Diversity, Scale, Ubiquity, Agility and Performance. Ann-Marie's fascinating insights from 20 years in retail across the world, told us that 'we have to solve this unified experience - the customer won't wait' and shared some great stats that point to the need for the C-level to wake up to the digital and customer revolution, as only 26% of CEOs think their companies need to increase tech savviness and only 14% think they need a rise in omnichannel capabilities. No doubt about it - this conference is laser-focused on Retail and eCommerce and the best minds and professionals in the space, but we also heard quite a few discussions about how it's critical to incorporate commerce and brand together, to align marketing, commerce, and service and to focus on the journey pre and post-sales. We certainly agree here at Salesforce. Our vision with the Customer Success Platform and how Salesforce Commerce Cloud integrates into that is to help with this very transformation - by delivering a 1-to-1 journey through the customer lifecycle and creating that connected customer experience across sales, marketing, commerce, service, apps, analytics, and IoT. 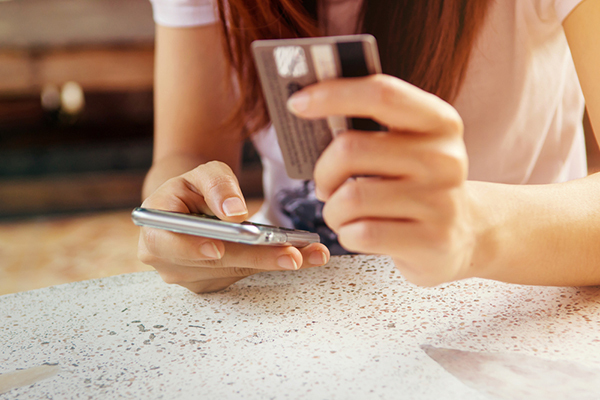 The lines between eCommerce, mobile commerce, social commerce and physical store are continuing to blur and the 'norm' now is a blend of these experiences to focus on delivering a consistent and connected customer experience. Tony Rivenell at Halfords discussed how the early days of digital were all about 'get my logo on this phone' to 'throwing technology at the problem' and now to a point where putting iPads in store for store assistant needs to be 'useful' and connected with all your customer data. His advice to the audience going through digital transformation was clear: “Everyone and everything is now multichannel” and retailers need to “harness the power of the digital evangelists in store. Don't go for glory on the first go - start with single features and build. And balance the long term vision with what you are going to deliver now.” He called this 'selective explosion'. Richard Hewitt took the discussion of the 'digital store' further in his session where he explored what the digital store truly means to Marks & Spencer. He explained that “when people come in store, they are making a choice for physical. This is the fundamental enduring need for human contact.” therefore, in store you “need digital to enhance the experience, not *be *the experience”. Did we find new horizons at Internet Retailing 2016? We sure did. We explored the strategies and advice in how to tackle new technologies without disrupting the customer, how to transform and transition while keeping true to our brand and soul, and how we should never forget about the customer and their experience. And, of course, we navel-gazed about AI, VR, marketplaces, frictionless payments and all sorts of other wonderful new technology that continue to make the world of Retail and eCommerce a fascinating industry to be a part of. And Salesforce is certainly excited to be part of it, too. We will see you all next year! For more insights into how new technology approaches are disrupting retail, read our ebook: Engage With Today’s Customers: 4 Ways Retail Can Reimagine Business.